After years in which the state's spending limit was irrelevant, it may play a key role in budget negotiations this session, and it could make it tougher for lawmakers to tap billions of dollars in the Rainy Day Fund. 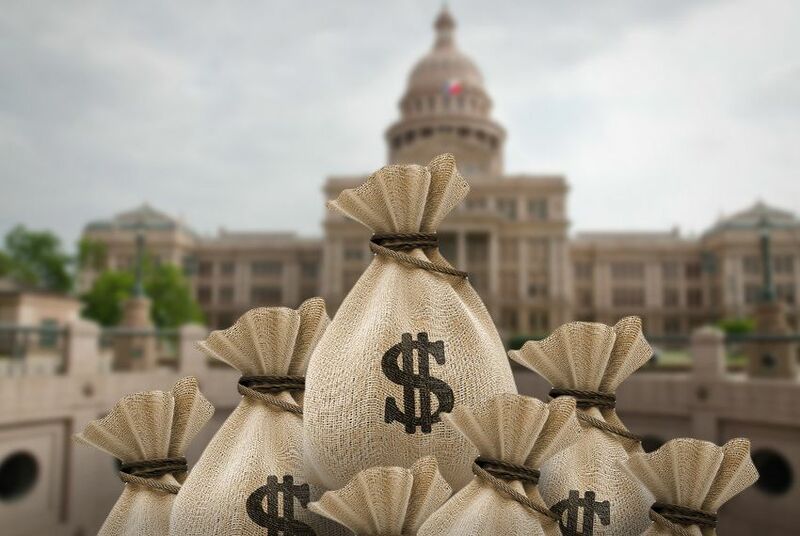 Bumping up against the state’s constitutional spending limit is usually not a serious concern when Texas lawmakers plan their two-year budgets. This year could be an exception, and the state's fast rebound from the recession is a key reason why. Several political observers well-versed in the state's finances say that lawmakers could hit the state’s spending limit this session, complicating efforts to access the $11.8 billion in the state’s Rainy Day Fund. The Texas Constitution says the government can't grow faster than the state's economy. That growth rate is always set ahead of the session based on the estimated rate of growth in Texans' personal income over the next two years. Passing a budget that busts the limit requires support from a simple majority of the House and Senate. Lawmakers last voted to bust the spending cap in 2007 to pay for $14 billion in property tax cuts that technically counted as state spending. Aside from that instance, the spending limit has rarely been an issue since voters first approved it in 1978. In most bienniums over the last decade, state spending has been more than $3 billion below the limit, according to the Legislative Budget Board. The state’s constitutional spending limit is more complicated than a simple cap on how much lawmakers can spend. According to the Constitution, spending from tax revenue "not dedicated by this constitution" cannot "exceed the estimated rate of growth of the state's economy." That wording restricts state spending that is linked to certain kinds of tax revenue but also allows for billions of dollars in spending outside of the limit’s reach. Spending tied to the sales tax, the franchise tax or taxes on cigarette and tobacco are all subject to the spending limit. Spending based on fees, fines, lottery proceeds or interest on investment income is not. Also out of the limit's reach is any spending that comes from a tax if the state Constitution spells out how revenue from that tax must be spent. For instance, revenue from the state gas tax is not subject to the spending limit because the Constitution dedicates it to spending related to transportation and education. The limit typically applies to most of general revenue, a pot of money that makes up close to half the budget and is the portion of the budget that lawmakers have the most control over. Before they get deep into the 2014-15 budget, lawmakers are working on a supplemental budget that will cover bills in the current biennium. Once they do that, the size of the current budget will grow, raising the spending limit for the next budget. Tapping the Rainy Day Fund requires support of between three-fifths and two-thirds of the Legislature, depending on the type of spending. That’s far above the simple majority that needs to approve busting the spending limit. Yet it’s that vote on the spending limit that could pose the bigger challenge for lawmakers worried about their next election. A variety of conservative activists and state leaders including Gov. Rick Perry have called for tightening the spending limit so that it is based in the combined rates of population growth and inflation, rather than the current metric, growth in state personal income, which is usually larger. Some lawmakers may worry that voting to bust the looser spending limit already in place will give opponents ammunition to paint them as irresponsible. The situation may motivate lawmakers to tap the Rainy Day Fund for tax relief over spending on water, transportation or improving budget transparency. The spending limit only applies to tax cuts when it impacts the property tax, which involves payments to local school districts, Craymer said. “The fact that there is revenue above and beyond the spending limit no doubt has invited discussion of tax relief,” Craymer said.